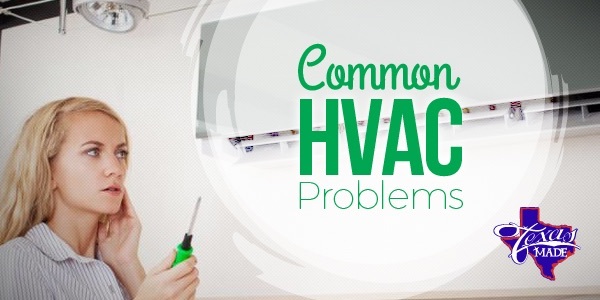 Realistically there are hundreds of reasons a HVAC system may be experiencing some issues. However, you can narrow them down to some common factors. Here are some of the main reasons for a non-working HVAC system. It may sound obvious, but check the breaker box! A blown fuse is a simple fix and a common problem. Check and see if there is a situation with the outside fan. The outside fan is crucial because it takes the heat from your home to the outside. If it is not working, the heat transfer isn’t occurring. Bad wiring could be preventing the HVAC system from getting the power it needs and could potentially trip the breaker. It is a fire hazard as well, so look for any wires that appear loose, not connected or simply old. Freon, or refrigerant can cause issues if the levels are too low or too high. If the levels are low, chances are you have a leak in your AC system and the leak needs to be located and addressed. A faulty thermostat is another common problem, confirm it is not accidently turned off or on the wrong setting. If there is an issue with the coil, the compressor needs to be examined. The compressor is the heart of the AC unit and normally next to the coil. The capacitor is possibly burnt out. The capacitor is what helps the motor run at a consistentspeed. Make sure your drain lines are not clogged with debris causing the drain pain to fill up. Remember, if you have any questions or concerns, it is best to call a trained HVAC technician to your house and have them perform an inspection of your HVAC system.